For those who dream of winning the lottery, the first thing most would do is splash the cash. 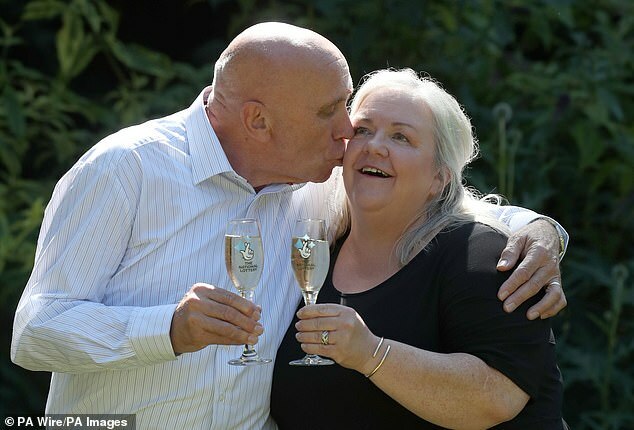 But a couple from Dundee have revealed that despite winning £58million on a lucky dip they still count the pennies and use shopping vouchers as well as loyalty points cards. 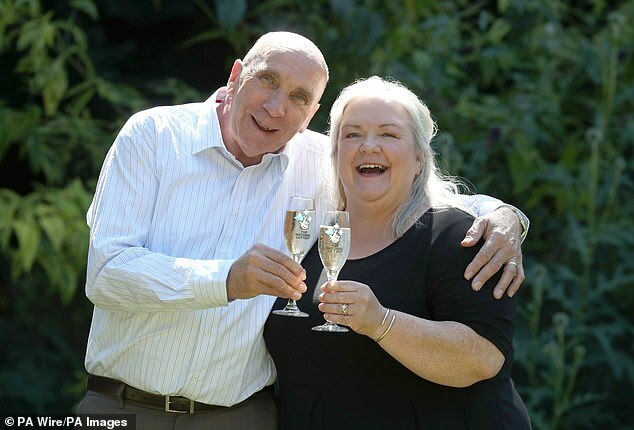 Fred and Lesley Higgins scooped the eye-watering EuroMillions jackpot this summer but they refuse to splurge and still insist on finding a bargain. 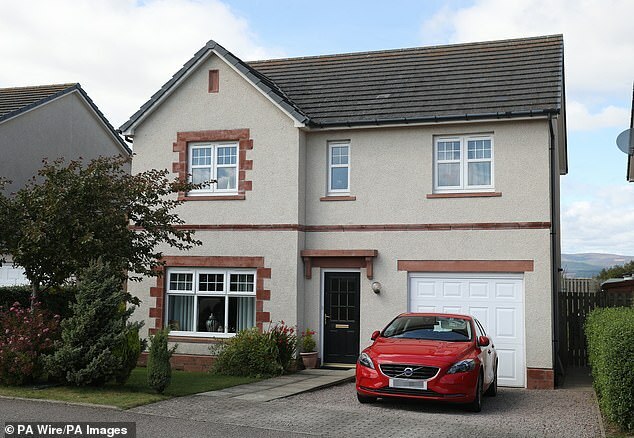 However, the devoted couple, who have been married for more than 35-years, could not resist spending £430,000 on their dream penthouse overlooking the River Tay. The couple also treated themselves to a new Audi A5 and sleek BMW after the life-changing EuroMillions jackpot in August. The down-to-earth pair have, however, kept their old Volvo and have only jetted abroad once – for a family wedding in Malta. But Mrs Higgins, 57, a retired port authority worker, who left her job after winning the fortune, said she refused to collect a prize after winning a raffle draw recently. She told The Sun newspaper: ‘I’m used to buying everything in the sale. I would stalk bags and shoes until they came down in price. That’s a mindset. At our age we’re not going to change. ‘The strange thing is now that we’ve got no debt and can afford anything we want, we think twice about buying things. It’s crazy. Shortly after their win, Mrs Higgins was mortified when her number was called out at a charity auction, and she refused to go up and collect the prize. She said: ‘There’s nothing more difficult than trying not to win. I was on tenterhooks the whole time. 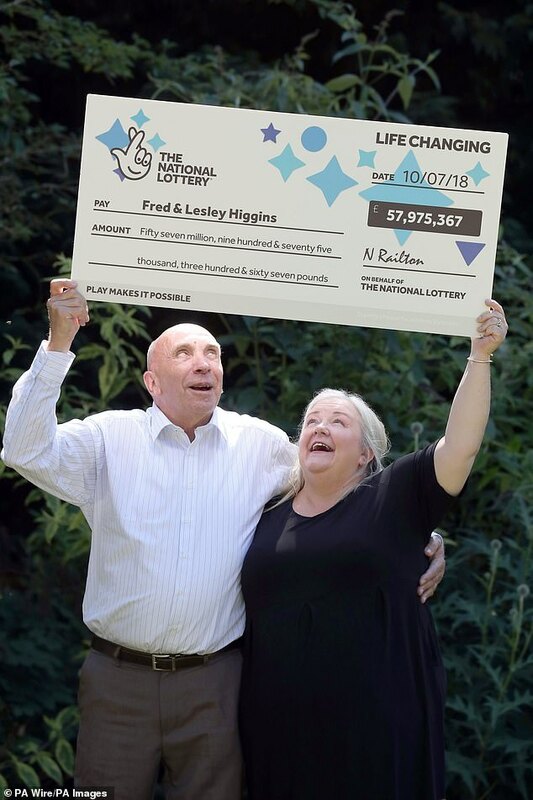 Mr Higgins, 67, a former car salesman, still tries his luck with weekly lines on the lotto despite pocketing the EuroMillions jackpot in August. He said: ‘Can you imagine how people would react if I won again? Mrs Higgins revealed she forked out £1,000 for a handbag from Harrods during a spending spree in London but made sure she racked up the points on her loyalty card while in the store. 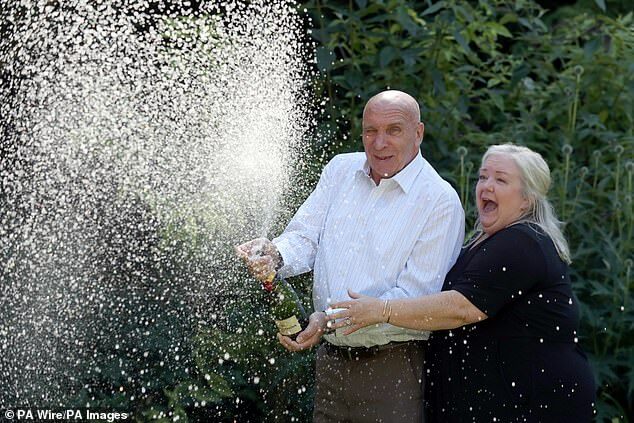 However, the couple almost lost out on claiming the EuroMillions jackpot after a shop assistant ripped up their winning ticket after checking their numbers. After an anxious wait and the Camelot security team checking the CCTV of the shop, they were awarded their winnings. 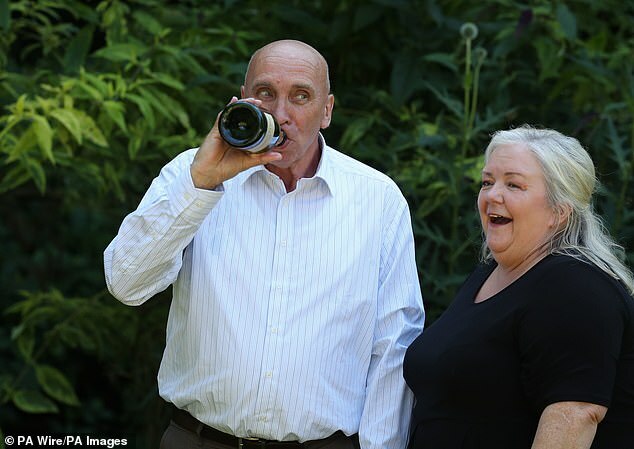 The win made them Scotland’s second biggest lottery winners behind Colin Weir and wife Christine, of Largs, Ayrshire, who scooped £161.6million in 2011.